Screams of “My God,” metallic banging and the cabin jolting to one side - the final moments of the doomed jet were said to have been captured on video, which several newspapers said they watched. However, French prosecutors say it’s a hoax. GermanDas Bildnewspaper and FrenchParis Matchmagazine say they managed to watch the video, found among the wreckage, of the final moments of flight 4U9525 before the tragedy. However, the outlets didn’t post the actual video on their websites. The phone memory card managed to survive the collision with the mountain, say the outlets, claiming it was found at the site by the investigators. The footage is allegedly filled with audible screams of the passengers, who were apparently aware of the dangerous situation. The cry “My God” can be heard in several languages, the German newspaper claims. The report also claimed the video seems to confirm an earlier released black box audio recording of the flight’s last minutes, when the captain of the plane was trying to break into the cockpit. There are three distinct metallic sounding strikes reportedly heard on the footage. According to Das Bild and Paris Match this could be the plane’s captain, Patrick Sondheimer, trying to smash down the door with what sounds like a heavy object. The strikes could be heard until the very end of the video, add the news outlets. The last seconds of the video allegedly show the jet crashing into the mountain. Das Bild and Paris Match say they heard people cry and saw the cabin blown out on one side – and then silence. However, Lieutenant Colonel Jean-Marc Menichini, a French Gendarmerie spokesman in charge of the rescue efforts’ communications at the crash site, told CNN the video is a hoax. The reports by German and French news outlets were "completely wrong" and "unwarranted," he said, adding that phones were collected, but they "hadn't been examined yet." According to Menichini, all phones found at the scene of the tragedy will be sent to the Criminal Research Institute in Rosny sous-Bois, near Paris, for investigation. However, so far none have been dispatched, he added. He doubted that any memory card could have been leaked to the media. Das Bild, which still maintain the footage is authentic, asked an expert how the video on the cell phone could manage to survive such a catastrophic crash. “Even if a mobile phone smashes into a thousand pieces, the memory card can remain intact. For example, if the impact was somewhat cushioned,” he added. At least 78 distinct DNA strands from body parts at the Germanwings crash site have been found by the forensic team, according to data leaked to the press on Sunday. However, the experts face numerous challenges. "We haven't found a single body intact," said Patrick Touron, deputy director of the police's criminal research institute. "We have slopes of 40 to 60 degrees, falling rocks, and ground that tends to crumble. Some things have to be done by abseiling." He added that between 400 and 600 body parts were currently being examined. On Monday, French experts concluded the identification process would take months. “Subject to the number of body parts found, the time period could fluctuate between two months, at least, and four months,” the head of the Criminal Research Institute at France's National Gendarmerie, Colonel Francois Daoust, said. 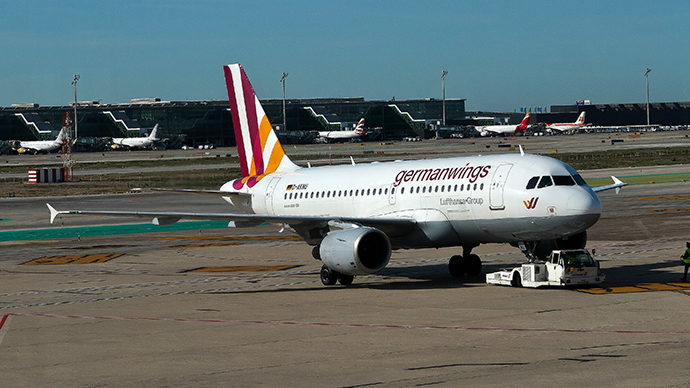 But later on Tuesday, French President Francois Hollande promised all the victims of Germanwings jet crash would be identified by the end of the week. "The French interior minister confirmed that by the end of the week at the latest it will be possible to identify all of the victims thanks to DNA samples," he said at a press conference.